Halloween Make Up Artists | Jestr Events Inc. Ever wonder where to go to turn yourself into a believable skull-faced demon or blood sucking vampire? 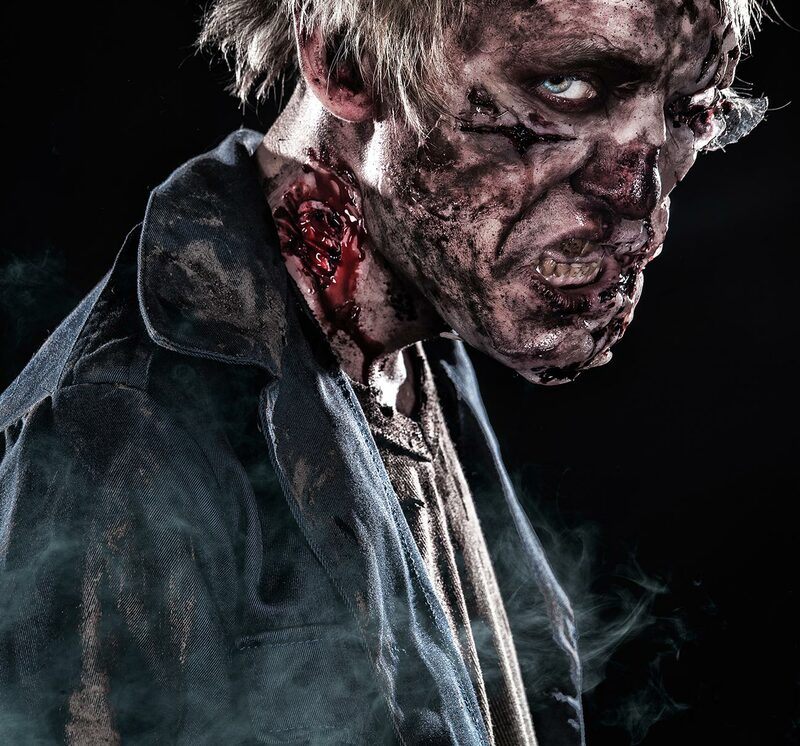 Our talented SFX artists have the capability to turn you into anything. Jestr only works with the best in the business, so if you've found something online and don't know how to do the make up or prosthetics, look no further. (The result makes for a perfect post to your Instagram too). Our prosthetic artists can also do more kid friendly make up or face painting. Our face painters are perfect for any Halloween party needed some interactive entertainment. 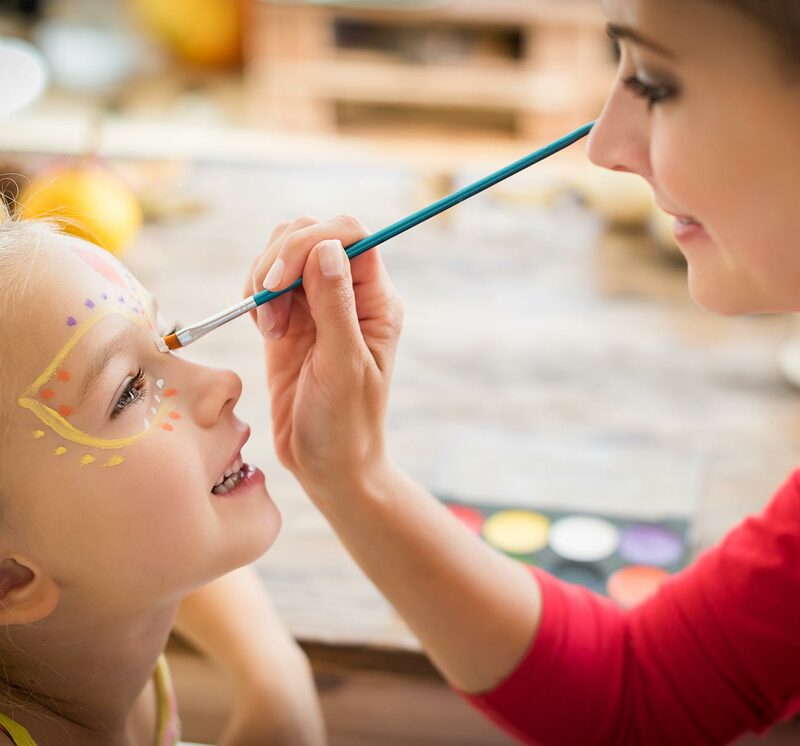 Face painting sets a fun atmosphere while creating stunning visual pieces! Professionally trained make up artist & supplies. We use products that are 100% approved cosmetic ingredients and are safe for adults and children. How do you wash it off? Will there be any staining? Face paint is removed with mild soap and water, baby wipes or mild baby shampoo. Should avoid white clothing while wearing face paint, however if it does stain, a simple wash in warm water should remove the paint from most clothing. A 5x5 area, table, and 2 chairs.